Every business should have a marketing plan in place- and a digital marketing plan is no exception. With so many directions you could go, especially if you are just starting out, a digital marketing plan can seem overwhelming very quickly. The good news is there are a few steps you can take to get your business started on the right track. 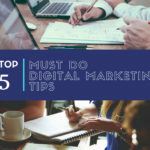 To give you a starting point, here are our top 5 must do digital marketing tips to help you get started. 1.BE PRESENT ON SOCIAL MEDIA: Facebook is one of the top 10 most visited sites in the world! You can’t afford not to have your business a part of that. There are a number of social media platforms- Instagram, Twitter, Snapchat, LinkedIn, and more. Create a business account and connect with your customers. Ask questions, post behind the scenes, offer first looks- just post engaging content and be consistent! 2.MAKE SURE YOUR SITE IS OPTIMIZED: It’s not enough these days to just have a website. With over 1 billion websites now, you need to make sure your site is optimized to stand out, provide an enjoyable experience and reach your customers. Have your end user in mind when creating content and make sure your content is keyword rich. 3.START USING YOUR BLOG: Blogging is a great way to add fresh content to your site- and that’s great for search engines. This not only gives your customers a reason to come back to your site and see what’s new, but it will make search engines come back to your site to index your content. 4.START DOING VIDEOS: People enjoy watching videos. This is a great opportunity to be real and authentic with your customers about your brand. Don’t get tied down on quality and professional production. As long as you have a clear message with good content your videos will get results. *Bonus tip- use your youtube channel to brand your videos, add subtitles, links, or embed them on your blog. 5.BE EASY TO FIND: If your customers can’t find your information easily they’re likely to move on. Having your business information online is a necessity. 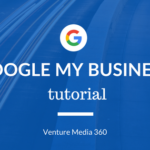 Create a Google my business account to add your business number, location and hours online. When adding your business information to online directories, make sure you are consistent as accuracy matters to search engines. Example… If your business is 123 North Avenue, don’t use 123 N. Avenue on any listing, keep it consistent. Digital marketing or online marketing is an ever changing and complex industry to say the least. But with customers increasingly taking to the web to begin their searches and purchases, it is a very necessary part of any serious business owners marketing strategy. Here we give you answers to common digital marketing questions we have received. There is countless amounts of information online about digital marketing and you could quite literally waste your days away trying to find all the answers. So we decided we’d make it simple and give you some answers here. Short and sweet. The short answer is SEO stands for Search Engine Optimization, and YES, it does REALLY matter…that is if you want to be found on the internet. There are over a billion websites on the internet, so SEO is your ticket to standing out and being found by customers. 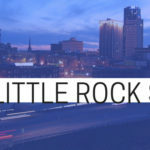 SEO includes strategies and techniques that are used to increase the amount of quality visitors to your website by obtaining a high-ranking placement in the search results page of a search engine like Google, Bing, or Yahoo. The ultimate goal is to organically rank #1 on page 1 of these results as most clicks go to the first few results. This is where an SEO strategy can make your website work for you and convert. Absolutely. Social Media is where your customers are no matter what business you’re in. 74% of consumers rely on social media to make their purchasing decisions. Social Media allows you an opportunity to connect with your customers and promote your products and services to them virtually free, unless you count your time. Investing in a social media management strategy can create excitement around your brand and allow your customers to share their positive experiences with others. Consistent engagement is key here. Inbound marketing relies on earning customer’s interest instead of buying it…..basically, customers come to you! With inbound marketing, it’s important to interact with customers via social media, provide value, entertain or educate, and be prominent on search engines. Google My Business is an easy way to get your business location and contact information in Google search results. Plus it’s free! Accuracy is important here. Make sure your contact information matches exactly. Consistent posting is key here. But be careful not to just post your products. Social media is just that-social. People want to learn about different things and be entertained. Share posts from other experts that offer valuable information. Post news and happenings from your company and don’t be scared to be personable and engaging. See something funny that’s related to your niche? Share it! One word. Canva. If you’re not already using it to create graphics and content or scale photos, get it now and thank me later. See above. Seriously Canva is great. Also, geo tag your images. By definition, reputation management is the practice of shaping public perception of a business or organization by influencing online information about that entity. You know those reviews and stars you judge a business by when you look them up? That’s a part of reputation management. A good reputation management plan takes a proactive approach in managing your online brand and could put out any negative review flames before they turn into a fire. How your reputation is perceived online will directly influence potential customers. Making your online reputation management plan a reality is an investment in your business that takes time and effort. Customers expect interactions and a level of transparency when they are making decisions to buy. And people buy from people they trust. While there’s no exact concrete answer to this question, a good rule of thumb is to post at least twice a week at a minimum. The more you post the more visible you will become. We recommend you create ads in the Facebook ads manager versus simply boosting posts. You will get more in depth data and a better ROI. Webinars are online video based learning experiences that help educate your customers. Webinars are a great way to reach out to your customers via email, blogs, etc. Your webinar can be anywhere from 10 minutes to hours long, it’s up to you and what your customers respond to. Hopefully we’ve been able to answer any burning question you may have had with these answers to common digital marketing questions. Don’t see your question? Shoot it to us Here , and we’ll get you a quick answer back!